Before going any deeper in what is causing the problem, make sure that Lync – outlook is integrated before wasting any time trying to locate the problem while it might be that Lync add-in not installed correctly. In your outlook, make sure that ONLY ONE Conversation History folder exist and that you didn’t accidently delete or move it. Restart the Outlook and Lync clients. For Outlook 2007, go to Tools >> Options >> Others and make sure “Display Online Status next to name” box is checked, also that “Display online status in the To and Cc Fields only when mouse pointer next to name” box is checked. For Outlook 2010, go to File >> Options >> Contact, and make sure that “Display Online Status next to name” box is checked. 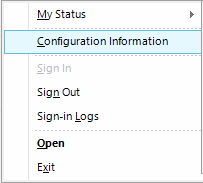 For Outlook 2013 go to File >> Options >> People, and make sure that “Display Online Status next to name” box is checked. Start your Outlook and wait till it is open and connected. Change the “Personal information manager” value to None. Change the “Personal information manager” to “Microsoft Exchange or Microsoft Outlook” again. Restart both clients and wait for the Synchronisation to finish. So I have all my users within my organization setup to use Lync. How do I make it so every user can see who is all in our organization to contact them? Can a whiteboard created in a Lync meeting be retrieved if it is closed without saving it? Is a draft verson saved somewhere? Thanks for this very useful piece. I have this problem and it is really annoying. when I’m in a call and i want to create a conference (by drag and drop someone else in my contacts) it shows an error, and this error does not contain information online (error ID 16389, Source ID 0). But also noticed that when I try to use the Outlook “New Online Meeting” plugin, it does also not work. I have tried to uninstall Lync (which intalled the plug-in), delete all configurations, and intall it again, but this doesn’t solve the problem. Do you have any idea I can try? I still cannot understand how lync2010 operate and communicate with exchange client access role …. I’m also with JR on this – you didn’t really explain what to do if I can’t schedule a meeting in Outlook for Lync/Skype for Business. I seem to be the only person in my organization (that I know of) that doesn’t have an option to schedule Lync/Skype for Business meetings in Outlook. REGEDIT values are correct, settings in the app are correct, and yet I still don’t have the meeting option. At first, I thought it was because I was running the 2016 preview, but I have 2013 on my laptop and I still don’t have the option. The option doesn’t appear in COM Add-ins and apparently, other than buying a product that is already being used and installed, no one seems to know the answer to this. Are you able to answer this or provide a solution? I’m not the only one who is having this issue. At least my IT-crew suggested me to delete the user and setup it again, because the problem occurs only with this one user (other users in the same PC doesn’t have the problem). So I’ll say that you can try it also: create (or log on with) another user in the machine, and look if the problem persist. 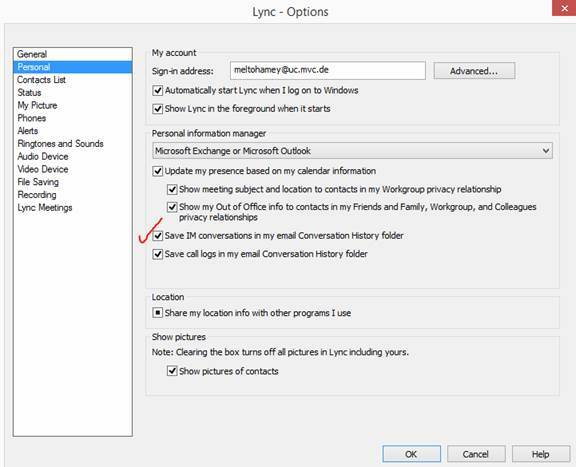 Also try: log in with another user in Windows, but with your own email address on lync. If in this booth cases the problem does not appear, then is your windows user corrupted and you need to delete the user and create it again. The option for “anyone (no restrictions)” is not available in the “these people don’t have to wait in the lobby” dropdown menu. Is there a fix to this? What is the version of outlook and Lync are you using? I’m not sure I fully understand your problem, what display name you talking about? 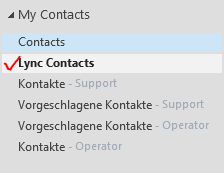 The user display name in the client itself or you talking about the other Lync contacts display names ? 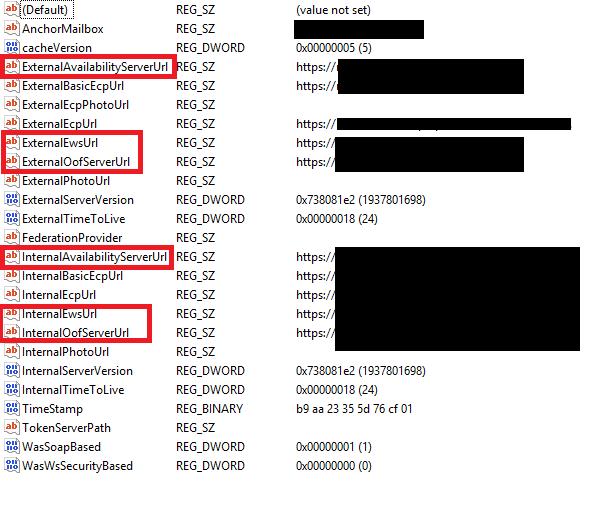 When you check the client configurations, does it show the EWS URLS and/or shows integration with outlook is “OK”? that’s strange, I know it does not make sense but try uninstalling the iphone app, and make sure the user you testing with is not logged in any mobile app and test again. Also what if the user has a extesion but he doesn’t have a mail box? I think he should also be able to see a missed call notification on the phone! Any Idea where can check to see why only the missed calls are not shown? Maybe i should’ve asked this first, is the problem global with all your users or with only a number of users? This problem is for all users, today I have tested all users, missed calls are not shown. The only way to see the missed calls is if lync mobile app is running, missed calls will only be seen on the mobile. Lyncdude, question that’s been stumping us. We have a number of users that when clicking to record a meeting literally nothing is coming up. It works for some and not others. By policy it’s allowed. We’ve tried to compare machines configuration and have so far not been able to see what’s different. We’ve also noticed that the machines that can’t record also will show old entries in the address book that have since been deleted from the Lync server. i have couple of questions and hopefully I could help you. are you running Lync 2010 or 2013 or SkypeFB infrastructure? what is the version of the clients used in your testing ? both Lync or Both SkypeFB or a mix? if you log in with those user that cannot record but from a machine that have recording working, are they able to record? 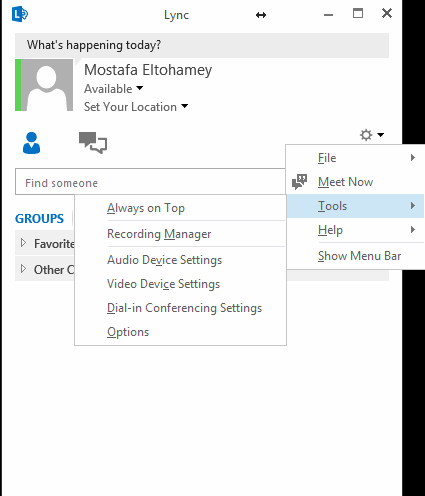 and just to be in the same page about the recording feature in Lync/SkypeFB, Recording is not available in peer-to-peer sessions, the session must be a conference call to be allowed to record it. Thanks for the reply! We are running Lync Server 2013. It’s possible we may have a mixture of standalone Lync installs but the majority are Office 365 installs with Pro Plus. We aren’t using SkypeFB yet. After install we have it reverting to Lync 2013. We are on the same page. This is recording in conferences, and also seems to be tied with our phantom address book issue as well. The people that can’t record are still seeing old users that have been deleted. It doesn’t seem to be policy or server based as far as we can tell. At first we thought maybe it was related to user, but that’s not the case either. For example, it doesn’t work on my computer with my username, but it does work on my coworkers computer with my username. We looked at the configuration page and everything was the same. We thought maybe something in the registry or local app data, but we’ve not been able to find anything yet. Good call! All this research and it’s a known issue haha. Always the way. After updating office, it works again. So side question, have you seen any issues with clients still querying old users that have since been deleted. It happens on a number of systems. We are currently set to only query the server but used to utilize the local cached address book. I’ve tried multiple thing such as deleting the local app data, reinstall, etc. Tested with my coworker and I can remove someone from Lync server and immediately he doesn’t see that person anymore when looking them up. Any guidance appreciated. Thanks for the help, man! I think I have the address book thing figured out. It’s definitely something to do with the offline address book in outlook. Once I blow those files away, everything is good. Thanks again! I have office 365 with outlook and skype for business. Once i’m searching for a name in the skype for business. skype for business is searching in whole of my outlook contacts. how i will prevent this? Have you tried creating new Client policy and exclude the Contacts folder from the search? Perfect! Just what I was looking for in one place, much appreciated! I have an issue where users can only find users by their SIP address. searching for their Name (Ex. Stan Smith, Stan, Smith) Will not work. You have to type out the entire address or it will not find them (ssmith@company.com). It’s a real minor thing, but still a nuisance when you don’t know another employee’s last name! !